The self-service library is open anytime the church has services. Located in The Fellowship Hall, the library is open during church services, Bible studies, and frequent special events. 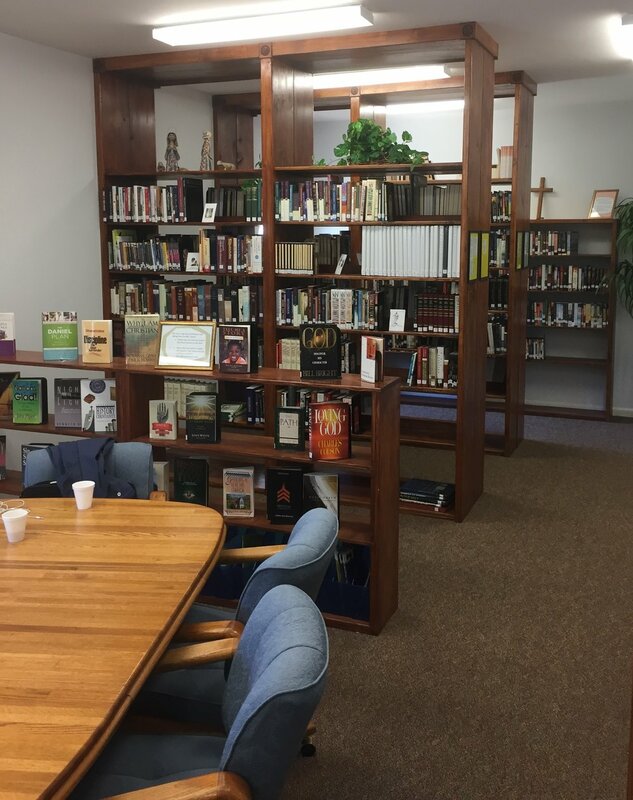 The Marco Presbyterian Church Library provides access to hundreds of quality Christian Books from the latest titles to classics, CDs, and DVDs and magazines free of charge. The Children’s Library is located in the Education Building. Registration forms are available at the circulation desk. They will serve as your library card. With our new library software you can search over 2,000 items in the MPC collection. The mission of the MPC Library is to support the congregation with spiritual development. • Are in agreement with what is taught from the MPC pulpit. When we receive items that are duplicates or outdated, we move them to other church libraries.